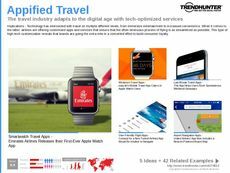 Find Better Ideas, Faster ® with a custom smart luggage trend report, our PRO Dashboard and 80+ categories of premium trend reports. 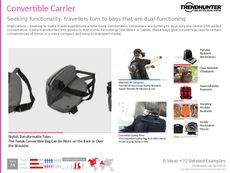 Trend Hunter's Smart Luggage features a vast selection of innovative luggage designs that creatively incorporate elements of smart technology. 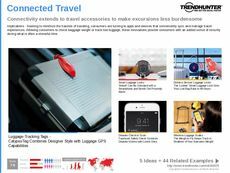 We present a curated collection of the latest travel trends like appified luggage, beacon technology, smart locks and more. 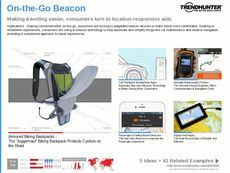 We also provide an outline, based on recognizable industry and market patterns, of what the future of smart luggage technology has in store. 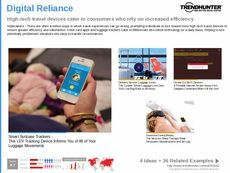 Use our report to gain enhanced insights into modernized luggage designs made for the tech-savvy consumer. 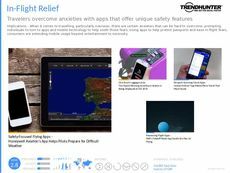 Tech developers, product designers and travel industry professionals at multiple levels of seniority will become well versed in the latest trending concepts through our advanced research methods. 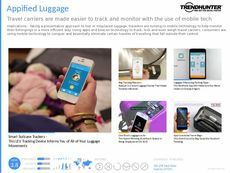 Use the Smart Luggage Trend Report to help keep you and your professional team up to speed with the latest trends and consumer patterns.